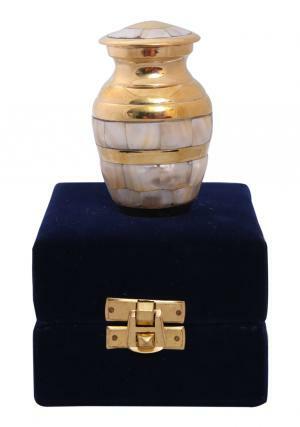 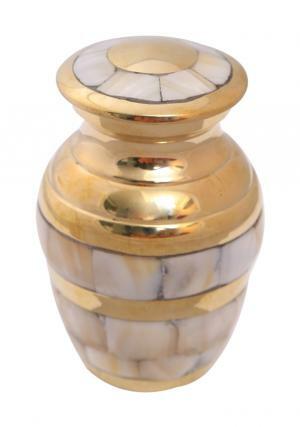 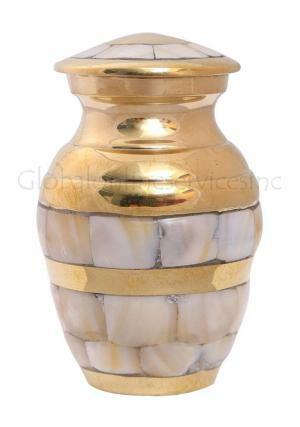 Beauty to perfection with mother of elite pearl gold cremation ashes small urn is a personal decorative mini urn to preserve ashes of the loved one. 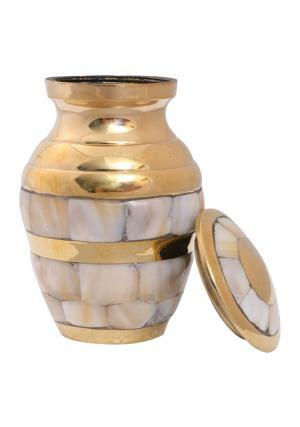 The gold mini urn features layers of pearl decorated on polished quality brass keepsake urn. 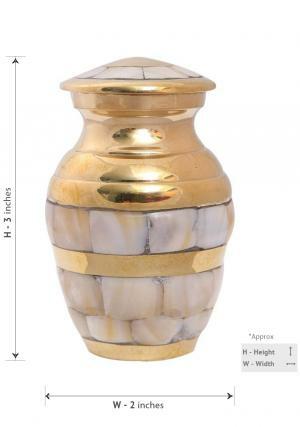 The quality brass mini urn weighs 0.15 Kg, designed to hold token ashes measured to be approximately 3 cubic inch. 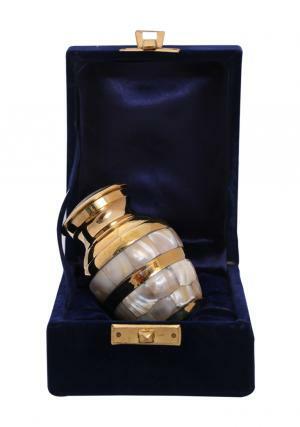 The dimensions of keepsake mother elite pearl funeral urn is 3.1 inch in height and 2 inch in width.